In my blog post yesterday, I urged us all to "pay attention" to the World of Nature. Today, let me refer you to a confirming commentary. 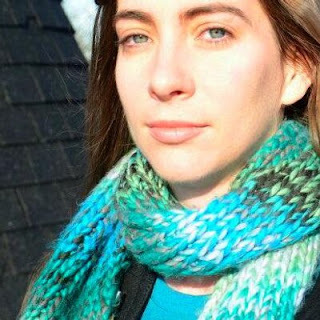 Jessica Stites, pictured above, is the Deputy Editor of In These Times. In an editorial published in the February 2019 edition, which Stites titled, "Anthropology 101 Revisited," Stites references Harvard professor Joseph Henrich, the United Nations, and the World Bank in arguing that indigenous peoples should be playing leadership roles in climate planning. Stites suggests that the demonstrated ability of the human species to adapt to changing conditions is not, predominately, related to our genetic flexibility, but that it comes, instead, from the complexity and diversity of human cultures. "Indigenous cultures," as she accurately says, "... have served as the Earth's staunchest environmental stewards." Indigenous cultures, in fact, have "paid attention" to the World of Nature, while modern civilizations have ignored it, operating on the premise that the only world that counts is that human world we create by our own actions and efforts. Stites points out that human civilization will soon be facting incredible challenges, and that the extinction of the human species is a very real possibility. As she says, "within 100 years, many of our cities will become uninhabitable, submerged under oceans or deadly hot. Storms will become more violent. The gentle planet we've known will be no more." The challenges we face will be, without doubt, life-threatening on the species level, and not just on the individual level. Read "When the Ice Melts" if you have any question about that. In this situation, Stites is correct that it would be very wise to try to protect and preserve the human cultures that have, unlike our own, been "paying attention" to the natural world. I must preface this rather lengthy reply with my own credentials, just to be fair. I have a Doctorate in anthropology from the University of Alaska Fairbanks, where my dissertation and post-doc research was on the chronology of occupation of the Bering Strait from 2500 BP to the present. I published papers on the effects of climate change on human population movements in Siberia, Alaska, Canada and Greenland. I did dendrochronological and dendroclimatological research on driftwood and archaeological wood from Siberia, St. Lawrence Island and the Alaska mainland. I studied tree ring research at the University of Arizona Tree-Ring Research Lab, and climate change at the University of Alaska Geophysical Institute. There is simply no evidence to support this alarmist prediction. With regard to “When the Ice Melts,” I must point out that Dahr Jamail is not a climate scientist nor an anthropologist, nor a scientist of any sort. 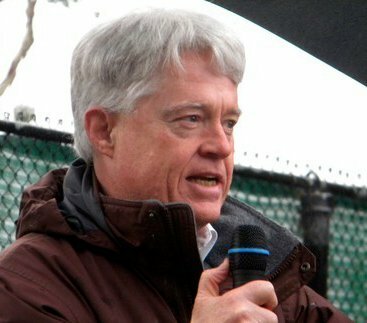 He is a journalist, one with a long record of unrealistically inflammatory rhetoric regarding what he calls “climate disruption,” which is in reality natural climate variability. Yes, many glaciers are retreating, as are many glaciers advancing. That’s what glaciers do and have done for millennia, long before human civilizations developed. Climates around this planet (and all the other planets in the solar system) vary cyclically in tune with its variable travels around its star, and our planet’s own internal cycles of the closely coupled ocean/atmosphere system. Does atmospheric CO2 and CH4 warm the planet? Yes, up to certain point. Does increased atmospheric CO2 result in increased global warming? No one knows, as this has never been tested. Does human produced atmospheric CO2 threaten runaway global warming? Not in the slightest. Jamail and Stites’ dire “predictions” are not supported by climate science, not even by the Intergovernmental Panel on Climate Change, which is a policy making organization, not a scientific research organization. Should we “civilized” cultures change our ways to be in closer harmony with natural cycles? Of course. Human population growth coupled with cultures based on unlimited consumption cannot continue in a world of finite resources. We not only must change our ways, we most certainly will. Humans may think we live in a world separate from Nature, but Nature functions otherwise. Humans are subject to the same ecological cycles as all other species. There’s no exit strategy. There’s no other planet to escape to. This is our only chance and either we figure out how to get it right, or Nature will haul us back into place in ways we make not like.